The “Cloud” is the industry buzz word at the moment and somewhat of a mystery to many (get the lowdown here). TSS welcome this new technology as it provides another choice for SME’s and choice can only be a good thing. It provides flexibility in the way you design your IT infrastructure giving the opportunity to put some or all of your IT services in the cloud. It can also provide cost benefits with an easy “pay as you go payment” model. 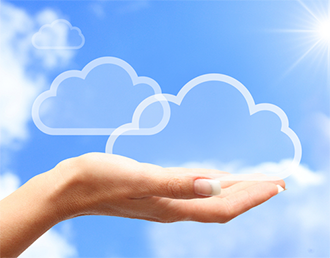 TSS has been involved with Cloud Computing since the outset. We have implemented private cloud solutions for businesses and schools and we have helped others adopt a hybrid network infrastructure placing some network services in the cloud whilst retaining other applications on-site. Our focus is to ensure that whatever solution you adopt is the right solution for you. We will help you evaluate the options available to you and recommend the best path forward. As part of our drive to offer value add to our clients and keep at the cutting edge of IT provision we offer several cloud based solutions both for specific applications and for core infrastructure. TSS CloudStore is a cloud back-up service which is a fraction of the cost of the competition. We undertake the set-up and migration of Microsoft Office 365 solutions offering a high availability infrastructure on a low cost “pay as you go” basis. Our datacentre infrastructure enables us to host any server or application for a cloud computing experience. We can design and implement a hosted desktop solution for internal or external cloud set-ups. We have vast experience in designing and implementing private cloud infrastructures for SME’s, schools and charities within Microsoft, VMWare and Citrix platforms.